Finding Zena was one of the biggest successes of our wedding preparations. We knew we wanted a humanist ceremony, but weren’t sure of much else! So to find someone who is not just full of ideas – but is also full of energy, passion and joy – was a huge help and a massive relief. From then on, Zena became an integral part of the lead up to our big day: working with us to create a personalised ceremony that perfectly reflected who we are as a couple. At the wedding itself, Zena was fantastic – well-rehearsed, charismatic and charming. We had so many people complimenting us on our choice of celebrant. We just wanted to email and thank you for the truly wonderful ceremony you gave us for our wedding. 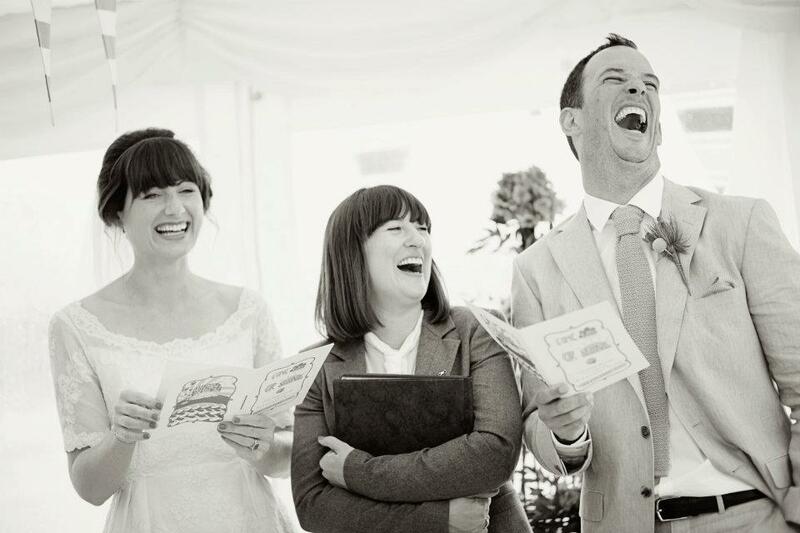 You captured our personalities and things that are most important us perfectly and all our guests said it was a beautiful service and very ‘us’. Thank you for helping organise the barn before the guests arrived and I know that Ben appreciated your calming influence before the ceremony… more for his brothers!! Both sets of parents didn’t know what to expect and were – thankfully – overwhelmed at how wonderful it was. We really couldn’t have asked for a more perfect ceremony to start our perfect day, so thank you so much! Thank you so much for our wedding on Saturday, It was great, we had the most fantastic day and are still on a bit of a high despite the return to work and normality. Everyone we’ve spoken to have been so positive about the whole event especially about you and the ceremony. I wanted to say how much I enjoyed meeting you on Saturday and to say how impressed I was with the entire ceremony. WELL DONE YOU! I have heard nothing but good feedback from all the other guests and Jackie and Patrick have told me that they are still ‘riding on happiness’. Zena, we’re so so glad you had a great time this Friday: you were simply amazing, and we had and are continuing to have so many comments about what a beautiful, personal, warm and meaningful service it was. We are so grateful to you for your wonderful manner in the service, as well as of course designing and writing it too. It was perfect for us. Thank you. 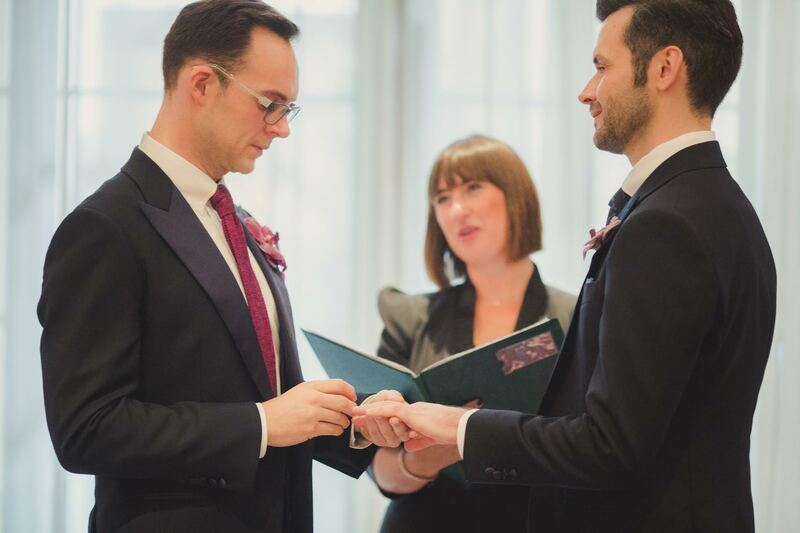 Just wanted to say a belated thank you: for conducting a beautiful ceremony for my sister and Tom last week, and for saving my life – and reading – with your wonderful forward planning! Your calm words were just what I needed at that moment. The whole thing went swimmingly thanks to you, and I was so happy (despite weeping copiously) for them both. I hope you had fun too. We have such special memories of our day and are so thankful we couldn’t get a registrar otherwise we wouldn’t have found you! I’ve lost count of the number of people who’ve said they’ve never been to such a personal emotional ceremony. And so many people admitted they cried all the way through! You got the balance of meaningful and heartfelt and lighthearted and funny absolutely spot on. It was perfect, Zena. 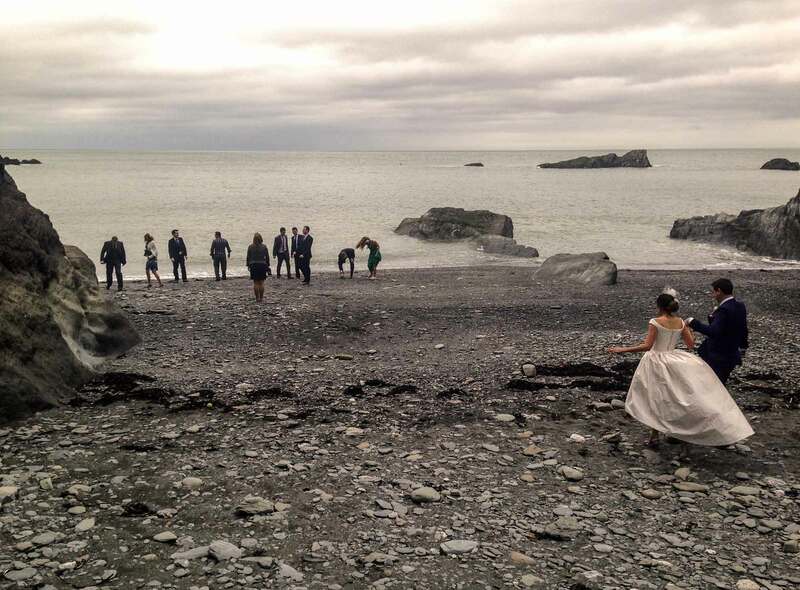 Ours was never going to be the easiest of weddings. For a start myself and my partner Jodes, were already married, and we did that in secret 10 years previously with just two people present. What’s more we met in Sydney while I was travelling and the whole thing happened at lightening speed. All these years on and with two daughters in tow, this was the ceremony we really wanted to be special. Step forward the quite amazing Zena Birch. From the moment she walked through our doors at our house we knew she was the right person to tell our confusing story. It’s something we’ve never been able to explain without feeling lost but Zena really took the time to reach inside our tale and took all the emotion that we had been hiding for so long to put together a romantic, moving, unique, funny and unforgettable ceremony tailored made around us. It’s Zena’s little touches that make the difference, her warmth is infectious, her story telling lights up the room. When we walked down the aisles with our daughters beside us we were swept away by the beautiful atmosphere Zena was instrumental in creating. By the end of the day, every single person had approached us personally to comment positively on Zena, expressing how different and wonderful they found the humanist ceremony and why they finally understood our secret wedding and the romance behind it all. Zena, who we now see as a friend, was simply perfect. As our venue was not a ‘typical’ wedding venue, it was a holiday home, it wasn’t licensed for weddings, so we decided to look into a Humanist ceremony and found the amazing Zena Birch who is a humanist celebrant. 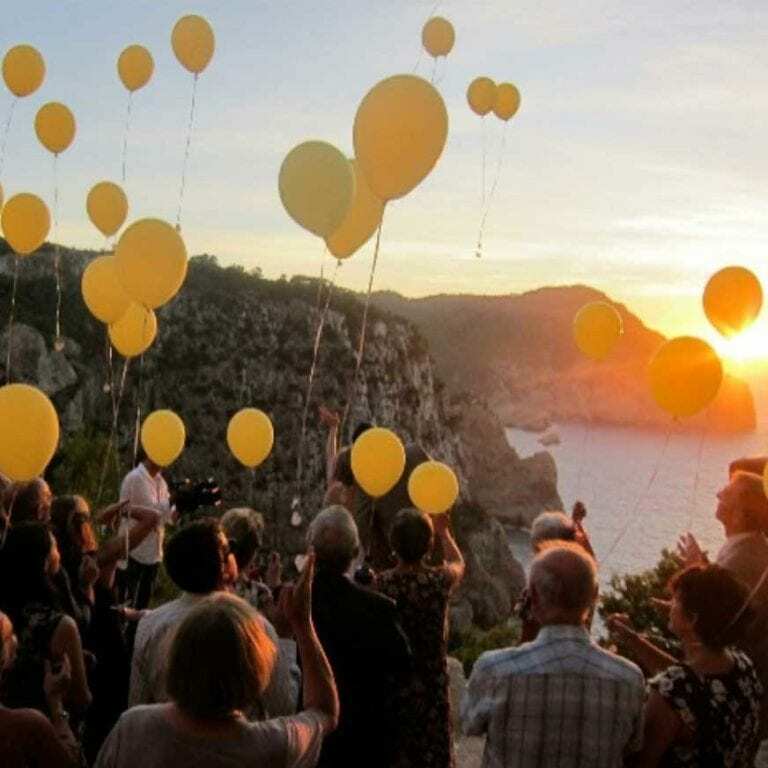 A humanist ceremony really appealed to us as we arent religious, so it gave us an alternative ceremony, without the religion and we were able to make it completely personal to us as well as get married outside in the grounds of the property. Zena was incredible. She put both of us completely at ease and made our wedding all about us. We had met with her on a few occasions before the wedding to discuss ideas and the ceremony itself and she was perfect. I loved the ceremony and it was without a doubt my favourite part of the day. So many of our guests have also commented on how much they enjoyed it. Thank you Zena! Read more about this wedding here. Zena Birch was the celebrant for our good friends’ wedding. She made the ceremony so personal and so about them. Dove and hearts illustrationIt was, quite frankly, one of the most moving, fun, teary and romantic ceremonies I have ever been to. 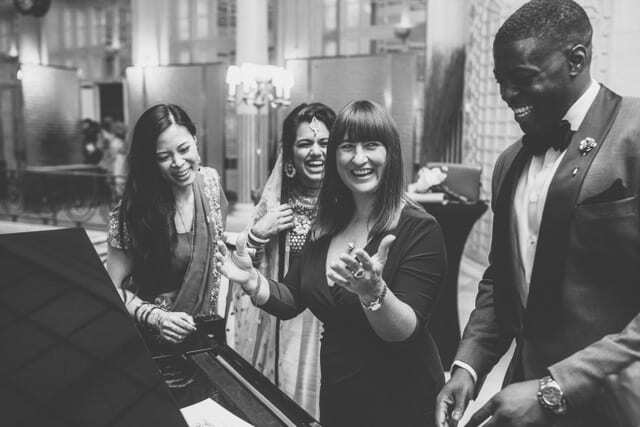 If you have the opportunity to have Zena perform your ceremony – grab the opportunity with both hands. Her beautiful nature and her perfect way with words mix to create a truly memorable experience.